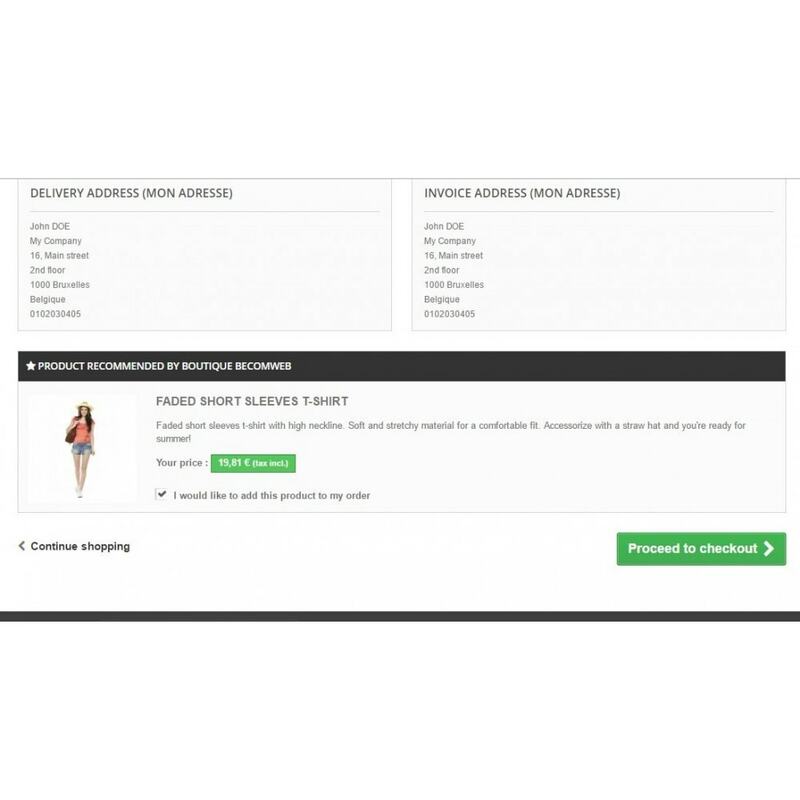 This module allows you to recommend a choosen product to your customer on shopping-cart summary page. Increase the amount of every sale by encouraging your customers to order an additional/featured product or a must-have accessory for example. This module will help you make the most of each order. You have a product you want all your customers to order ? This module will show it in order process, so they won't miss it. 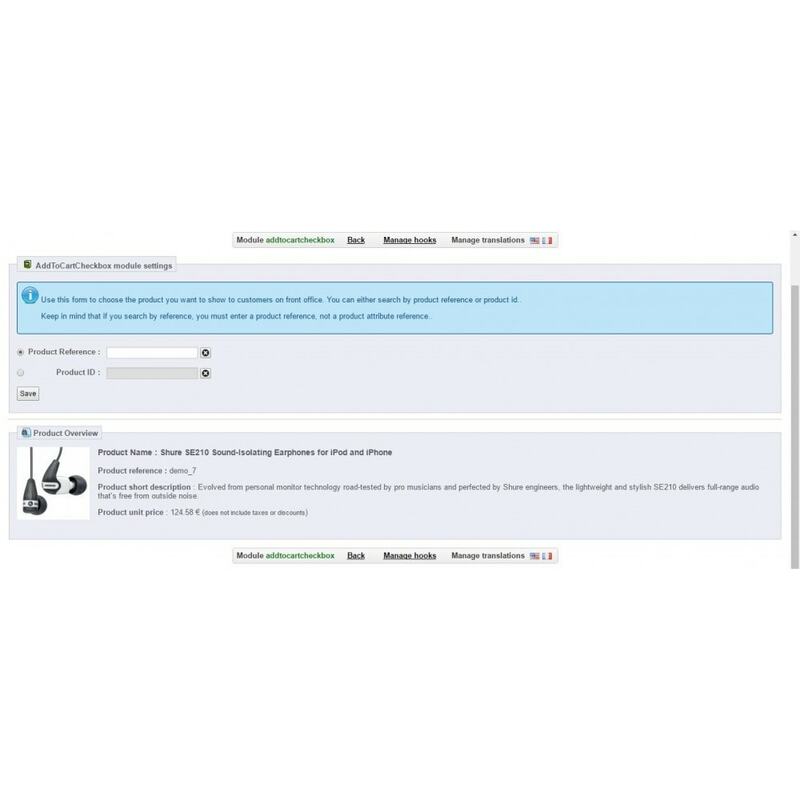 Display the product of your choice in cart summary, customer will just have to check a checkbox to add it in his/her shopping cart. 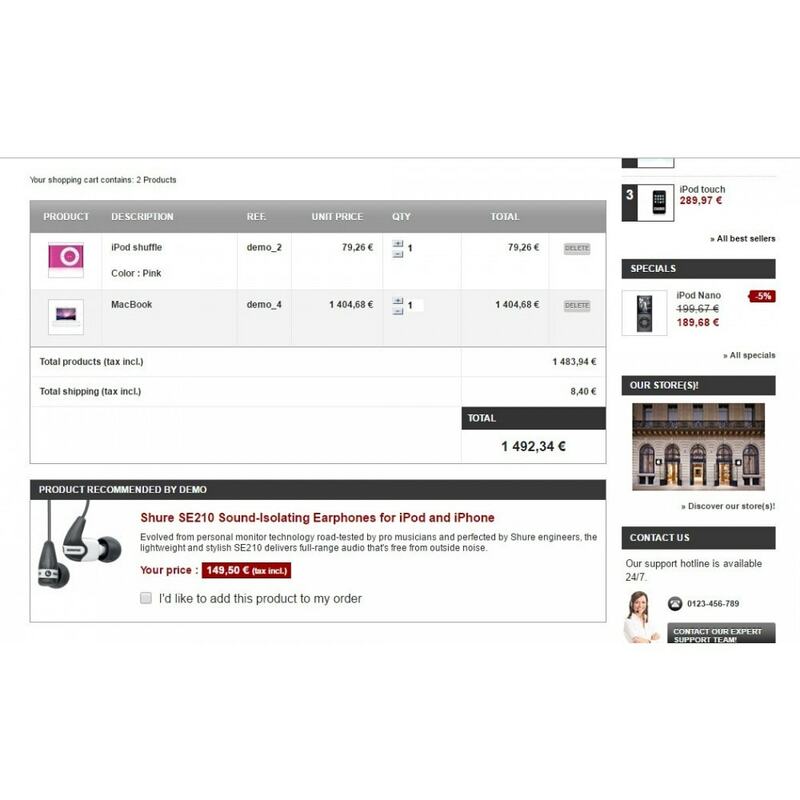 Your customers won't miss your best product anymore as this module will give you the ability to show them before checkout.